Have you guys watched the wallflower movie? If you haven't, you should. It somehow touches your heart and at the same time inspires you. A really recommended movie, I could say. The quotes are pretty damn good too. When I watch the movie, I feel like I was watching myself. You know that kind of feeling right? It's strange because sometimes, I watch a movie, and I think I am the people in the movie. Okay this sounds ridiculous but I do feel like I'm a wallflower. I see things. I keep quiet about them. And I understand. To tell you the truth, I have enough of my life. It seems like everyone loves to blame me for everything. Literally, everything. I don't feel like I belong anywhere. Nowhere feels like home. Society kills people. People will judge you no matter what you do. So, everyday I walk my life with a smile on my face even though life keeps knocking me down. If life knocks me down 6 times, I will get back up 7 times. super duper gorgeous as always! 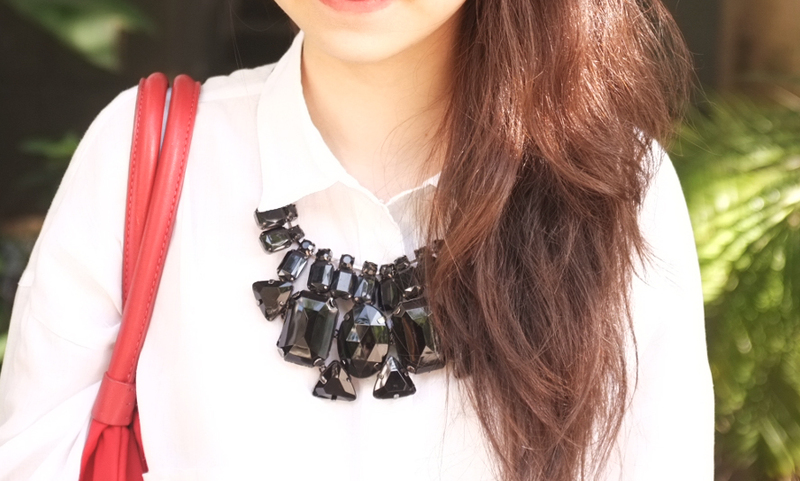 :) the necklace is damn cute! Very inspirational, I should check out the movie! Would you like to visit/follow each other? you look so super cute ^_^ and the shoes are just awesome! We're a group of volunteers and starting a brand new scheme in our community. Your site provided us with useful information to work on. You have done a formidable job and our entire community will be thankful to you.